In a recent project with a global banking firm, Dalen Design Concepts met with representatives from the facilities management team, focused on refurbishing their offices in the Midlands. 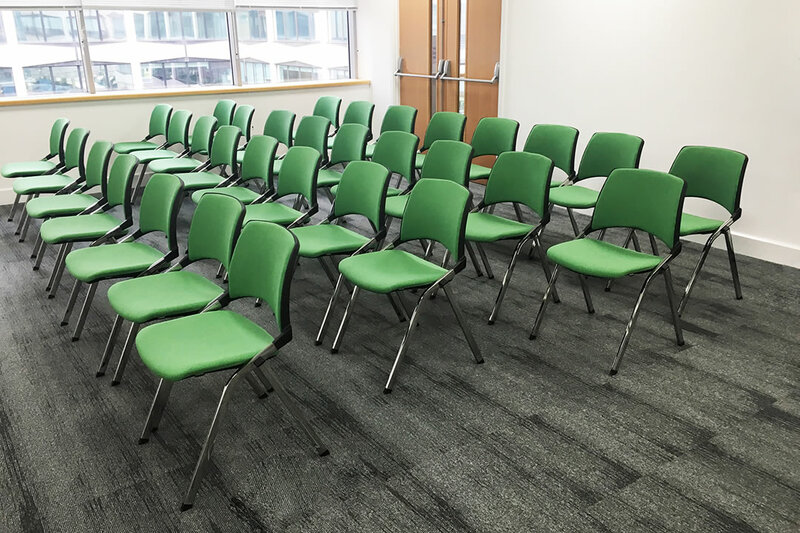 They required a solution to transform their open plan office area into a conference and training suite as part of an initiative to encourage external use, as well as promote their brand. 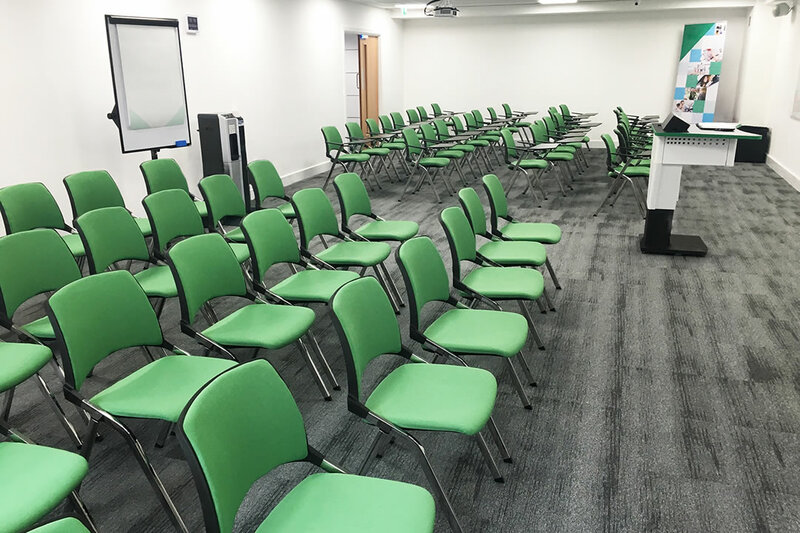 The customer wanted to create a positive first impression when entering the conference and training areas, coupled with a lasting impression of engaging the business. Other key aspects of the project brief included displaying their corporate branding to a professional standard as well as creating an inspirational and motivational environment. Dalen took the time to understand the customers exact requirements to enable them to deliver a solution that met all of their criteria. The design team collaborated with the banking firm to create an environment that helped generate the most effective meeting, training and workplace area. 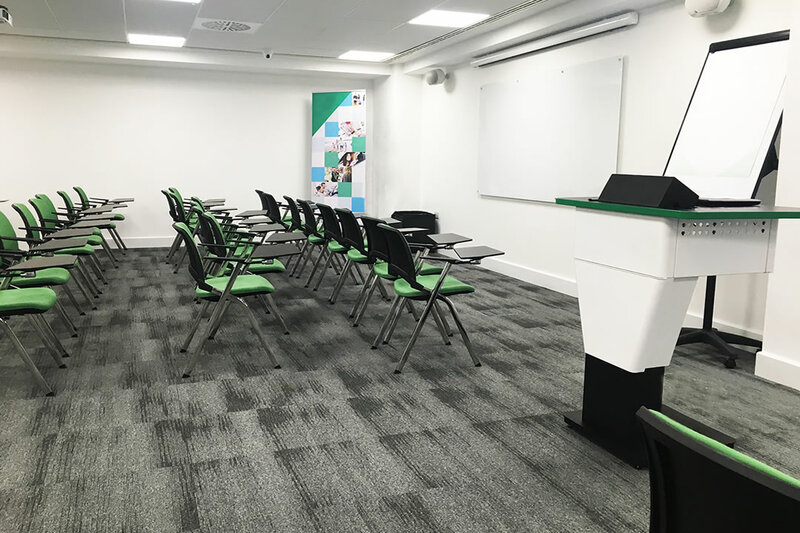 The seminar room required a podium that provided a focal point for speakers and facilitated the use of laptops and tablets as presentation aids. 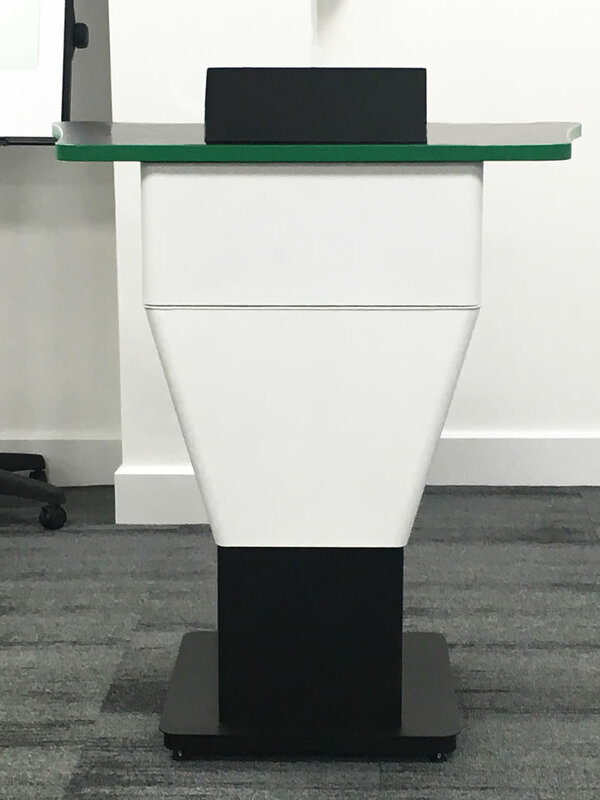 Our MESSENGER podium provided the ideal solution, as well as offering electric height adjustment capability to suit differing presenter requirements. events. 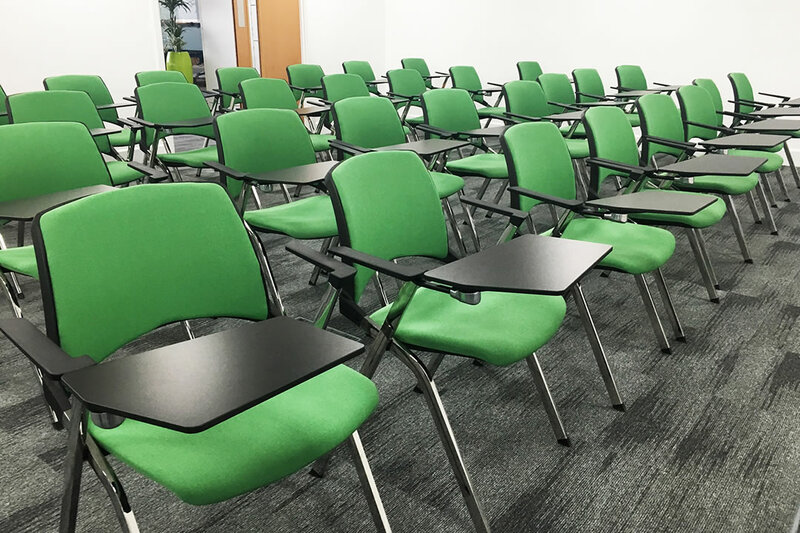 The seating would need to allow for note taking and offer a professional look and feel. For more information on this project or conference and training areas, please get in touch with enquiries@dalendesigns.co.uk.